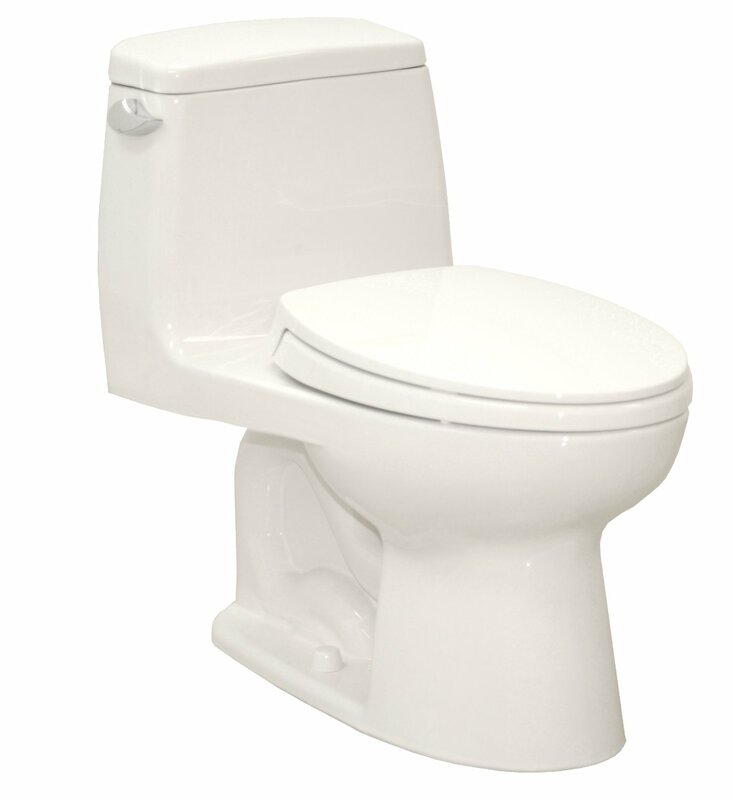 When buying a toilet, there are several main characteristics you need to choose from. 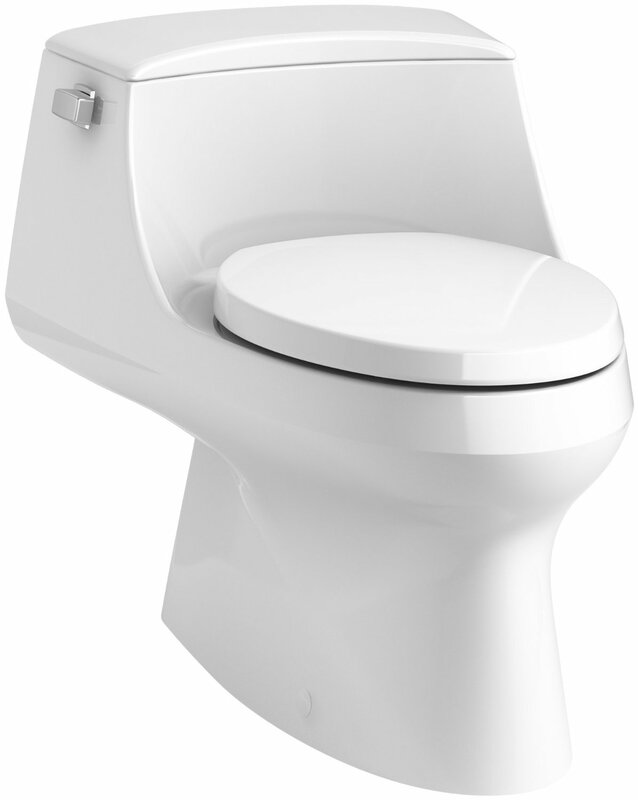 The first is the shape – one-piece or two-piece or wall-mount, then there is the flush type – single-flush vs dual-flush, and the last, but not least important is the flushing mechanism – pressure assist or gravity feed. Today we will look closer at this last aspect and discover all the pros and cons of the both types of flushing mechanisms. 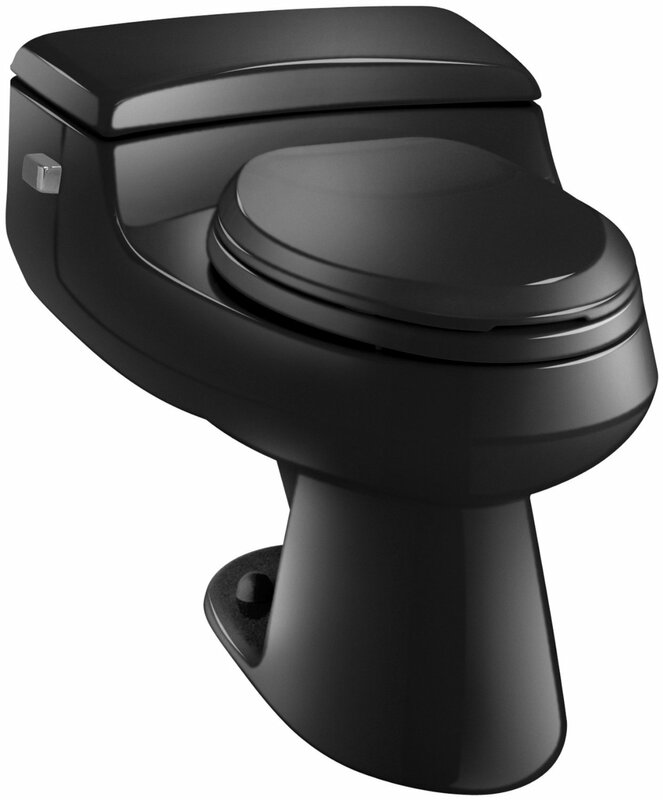 In addition to the force of gravity, the pressure-assist toilets use the force generated by specials devices. This makes the flush much stronger even with the minimal amount of water. The key component of such flushing mechanism is compressed air, which pushes the water out of the tank with much stronger power than in standard toilets. This compressed air is gathered and mixed with the water in a separate metal or plastic tank. Such flushing mechanism is relatively new, so you may not find a lot of models where it is installed. However, lots of users have already experienced the perfect results that are provided by this flushing system. There are many videos available on YouTube where you can see how a flushing mechanism like this removes enormous amounts of different stuff. Of course, we don’t recommend doing such experiments at home. 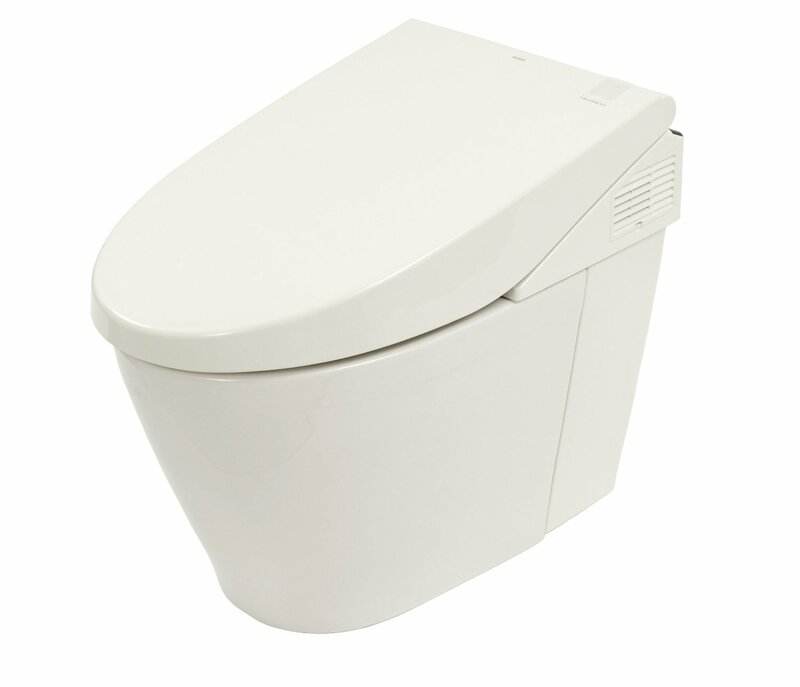 Even if you do have a pressure-assist toilet, it can get clogged up, and you will have some serious problems. On the other hand, these videos represent how powerful these toilets are; and I think you will agree when I say, that it is astonishing to see how they work. 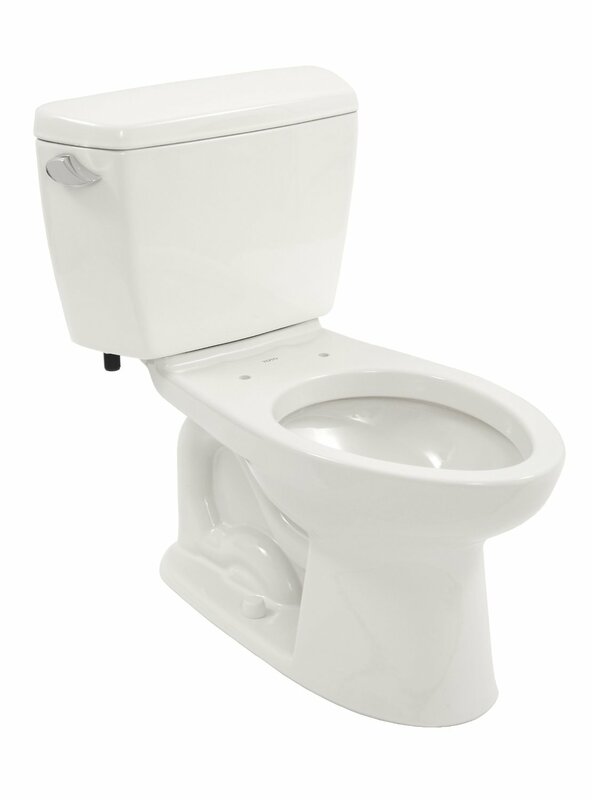 This type of toilets can be met in 90% of houses and apartments. As the name suggests, the thing that makes the water take wastes is the force of gravity. There is no additional mechanism involved. Everything is very simple: you push the handle and the water goes into a bowl. Then it goes into a trapway and a natural syphoning effect appears. It helps the water take wastes to sewer pipes. The system is pretty simple and does not require many components. It has been developed many years ago and was the ultimate option until recently. One obvious advantage of a gravity-assist toilet is that it is very easy to repair. Plus, the components are usually available in stores. I wish I knew the answer to this question, but, honestly, I don’t think anyone knows. There is no agreement of opinions. The thing is, the both types of flushing mechanisms have some advantages and disadvantages. So, depending on your needs and requirements, you should choose the type that suits you best. Now, let’s look closer at pros and cons of each type so that you could be able to decide. If you have watched a video mentioned above or any other video about the power of pressure-assist toilets, you know that they can flush almost anything. Starting from a bag of carrots to dozen golf balls, lots of smaller objects can almost magically disappear in the trapway of such toilet. So, even if your kid accidently drops a portion of pasta into the bowl, you won’t need to bother taking it out. Just push the handle and flush this problem away. And the best part is that it’s not only about things like pasta. No matter what your kids through into the bowl, you still can have your sleepful nights without worries about clogged toilet. However, this power of pressure comes with some possible drawbacks. The first one is the noise. If you are a musician or just a person sensitive to loud sounds, you definitely need to hear this toilet before purchasing it. Only when you hear it, you will be able to decide whether or not you can live with a “landing plane” (this is how it sounds) in your bathroom. The difference between a standard toilet and a pressure-assistant one in terms of noise is really huge. Nevertheless, many people happily use the second one and have no complaints. You just need to get used to it. The second drawback is the need for pressure generation. As this flushing mechanism is not equipped with any separate device to generate pressure, this function has to be performed by your home water supply system. It means that in order for this toilet to work well your water supply system needs to produce minimum 25 pounds-force per square inch. So, before you decide to purchase a pressure-assistant toilet make sure you check if your water supply system will let it operate properly. You can do the measuring yourself or invite a plumber. In case you choose the first option, you will need to buy a special gauge, which can cost you up to $20. However, we recommend you to invite a professional, who will not only test your water supply system but also check you pipes. You may be curious what do the pipes have to do with pressure-assistant toilets. It’s very simple. Such toilets flush water with very high pressure, which can be damageable for some old pipes. If you live in a relevantly new house, you have nothing to worry about. But if your house is old, the pipes in it can be partially corroded and weakened. 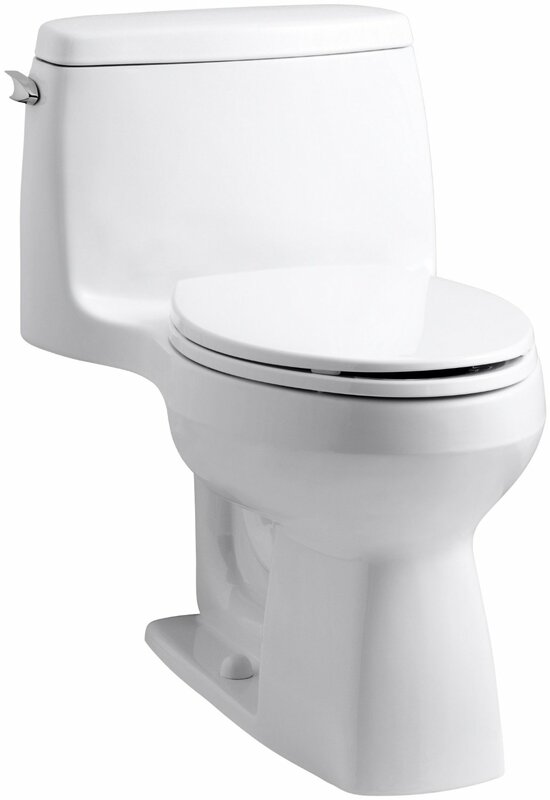 The strong pressure produced by the toilet may cause breaking and leaking. You need to be especially attentive to this issue if you live in a country that has cold and snowy weather. Such weather negatively affects pipes and makes them less durable. However, a good plumber can check these things for you; so don’t hesitate and contact him. And the last issue that may cause you some concerns, especially if you are a fan of traditional toilets, is the lack of freestanding water. It just isn’t there. It may be strange to look into a bowl and don’t see any water there, but I find it even more convenient. I know that if I drop a phone inside the bowl, it won’t get wet instantly. Plus, water is the place where all kinds of pathogenic microbes like to spread, so I like the fact that my bathroom has fewer places where they can do that. 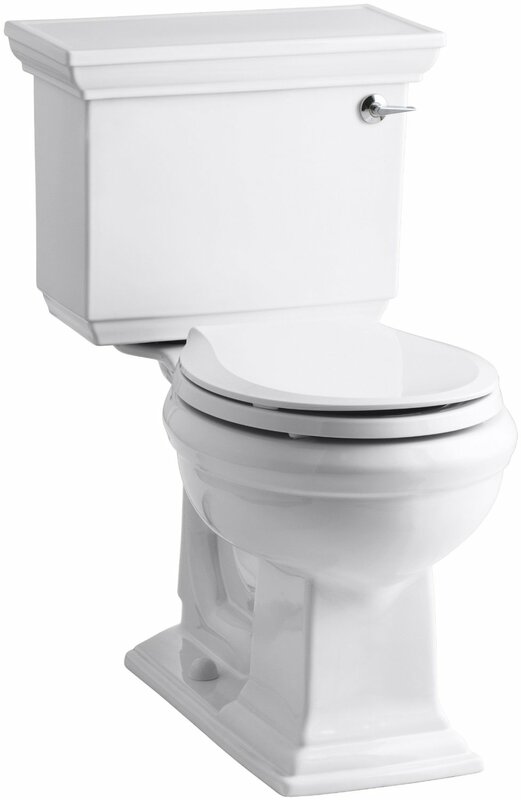 Standard gravity-feed toilets are known to be very durable and reliable. Their design has been in use for decades and has proven to be rather effective. Millions of users can assure you that such toilets work just fine and they don’t need any additional pressure. Of course, there will be those who had their gravity-feed units broken or damaged, but in most cases these issues are small and can be easily eliminated by almost any adult male. And even if you damage the flush mechanism or hose, all the components are cheap and can be easily purchased in any town or village. You won’t need to order them online and wait for the delivery while your family is using a broken toilet. The only exception is the crack of ceramic. 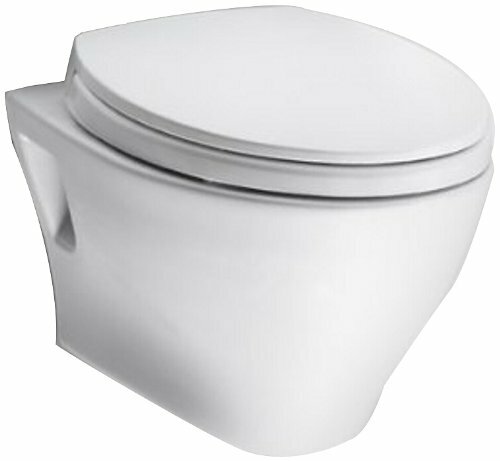 In this case, you will need to replace a fragment (if it’s only a lid) or the whole unit (if it’s a one-piece toilet). However, such issues are infrequent and usually happen only because of users’ carelessness. In addition, this disadvantage can be ascribed to pressure-assist toilets as well. As for drawbacks of gravity-assist toilets, the main one mentioned by customers is that gravity doesn’t work as effectively as pressure. Clearly, all of us are familiar with the common rules of using a toilet, but there are situations when we just cannot obey them. For example, your kids have decided to carry out experiments and tried to flush away stuff like peas, carrots, candies or even sausages. A standard gravity-assist toilet is hardly able to deal with a problem like that and will just clog up, but for a pressure-assist unit this job will be like a child’s play. Another issue is a large family, especially if some of its members use lots of toilet paper. In this case, a standard gravity-assist unit is simply not enough. 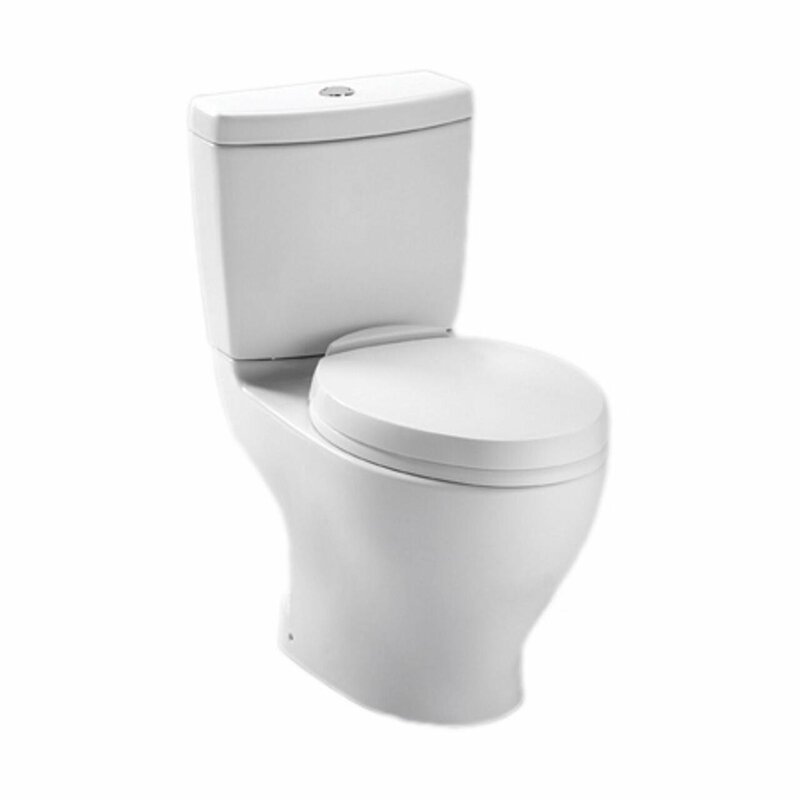 However, a pressure-assist toilet will not only make the bowl clean in no time but will also flush wastes with the pressure that helps to prevent clogging of the drain pipes. After analyzing lots of sources like professional reviews and customers’ comments, I can state that there is no such thing as the best flushing mechanism. Only you as a buyer can decide what toilet better meets your requirements. To do that, just consider a few things:Is your family big? Do you often have guests or relatives staying in your house/apartment? Or maybe you need a toilet for an office or café? If the answer is “Yes,” than a quality pressure-assist unit is your best choice. 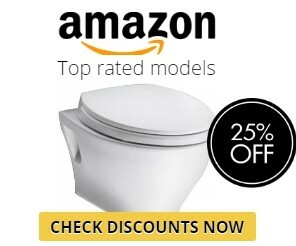 If you value reputation and trustworthiness of things, if you need a toilet that wants no maintenance at all, if you don’t have any high requirements concerning the power of the flush, and, at last, if you don’t need your toilet to impress anyone, then go ahead and purchase an ordinary gravity-assist model. It will last you for years, of course, if you won’t flush any inappropriate units or foods into it. And the last, but not least thing to consider is your budget. A quality pressure-assist toilet costs more than a standard one. In addition, the components for repairing its flushing mechanism are also more expensive and difficult-to-find.As soon as you think through all of these points, you will find the answer to this “eternal” question: what kind of toilet is better? But no matter what type you choose, look for the model made by a respected brand. Trust me, if the toilet is manufactured by a decent company, it will function for years.